Quote from the movie National Treasure: "Over time the clues were lost or forgotten!" Everybody knows how imported it is to keep track of pin-code, login details and other credentials, if they are lost or damaged it leads to serious problems. Recently I've received two separate plea's for help with regards to QR-Code content. In both cases the link in the QR Code itself was no longer pointing to the correct content. The more serious of the two was a link to YouTube content that was deleted by mistake. The ID that YouTube uses to identify the content could not be revived! Brochures containing a QR Code pointing to this YouTube content, now a dead link, were already printed in huge quantities. 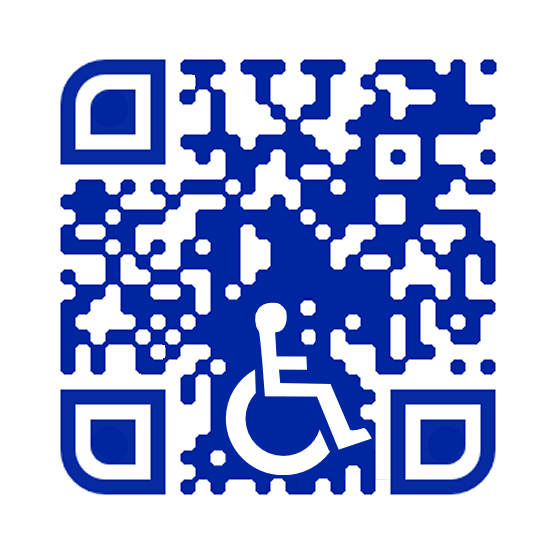 A QR Code severely handicapped. This is one of many reasons to make use of an URL shortening service. Services like bit.ly and linkfire (lnk.to) not only supply the service of shortening the URL, they also provide global tracking, tracing and monitoring. And as a paid service the used link can also be re-targeted, a very helpful feature for a situation as described above, but it can also be used to re-use a once made enhanced code for later marketing campaigns. It is this kind of back-end service that make QR Code dynamic, the content inside the code itself is always static! A shorter URL requires less information in the QR Code itself, the resulting lower version of the QR Code provides the possibility to increase the resolution of the image if the reserved space for the code is limited. Higher resolution codes scan faster and open the possibility for graphical integration, where both the content and the image are protected by the error correction.